Remember radicalism? 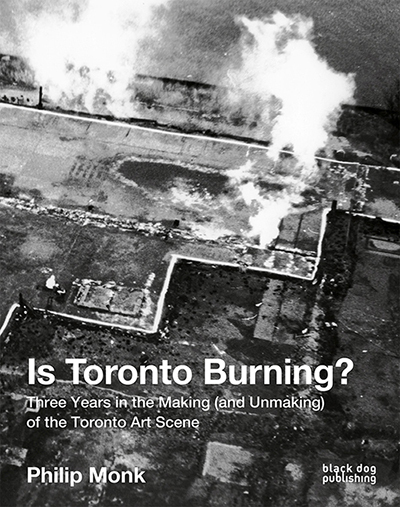 A time when the Toronto art scene was in formation—and destruction? When there were no models and anything was possible? The late 1970s were a key period when Toronto thought itself Canada’s most important art centre, but history has shown that the nascent downtown art community—not the established uptown scene of commercial galleries—was where it was happening. It was a political period. Beyond the art politics, art itself was politicised in its contents and context. Art’s political dimension was continually polemically posed—or postured—by artists in these years. Beyond politics, posturing, in fact, was a constant presence as the community invented itself. It was also a period rich in invention of new forms of art. Punk, semiotics, and fashion were equally influential, not to mention transgressive sexuality. It was the beginning of the photo-blow-up allied to the deconstructed languages of advertising. Video and performance aligned in simulations of television production as the ‘underground’ mimicked the models of the mainstream for its own satiric, critical purposes. With no dominant art form and the influence of New York in decline, there were no models and anything was possible: even the invention of the idea of an art community as a fictional creation. Is Toronto Burning? takes the reader on a journey through this period rich in invention of new forms of art. Bringing together artworks by Susan Britton, David Buchan, Colin Campbell, Elizabeth Chitty, Carole Condé and Karl Beveridge, Judith Doyle, General Idea, Isobel Harry, Ross McLaren, Missing Associates (Peter Dudar & Lily Eng), Clive Robertson, Tom Sherman, and Rodney Werden alongside archival documents. The artworks were all shown at the exhibition of the same name at the end of 2014 at The Art Gallery of York University, curated by Director Philip Monk.